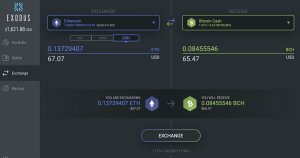 Exodus is a software to secure, manage and trade blockchain assets. 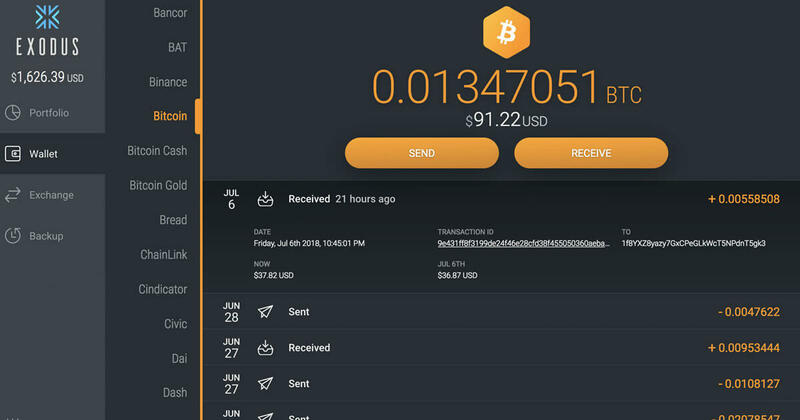 Exodus supports Bitcoin, Ethereum, Dash, Litecoin, Aragon, Augur, Decred, EOS, Gnosis, and more. 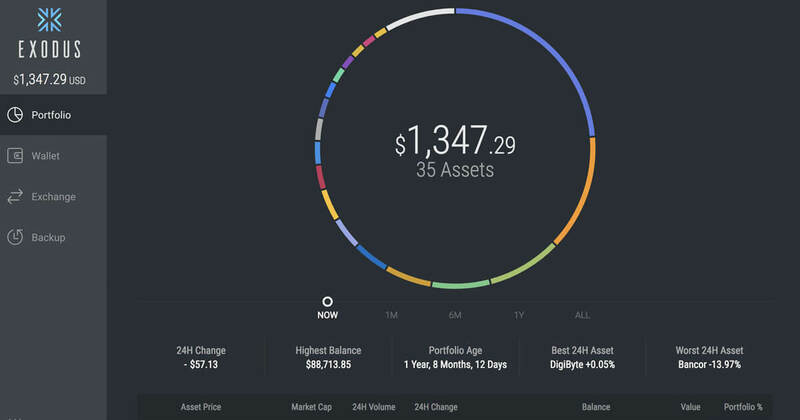 Portfolio: Manage your diversified portfolio of digital assets. 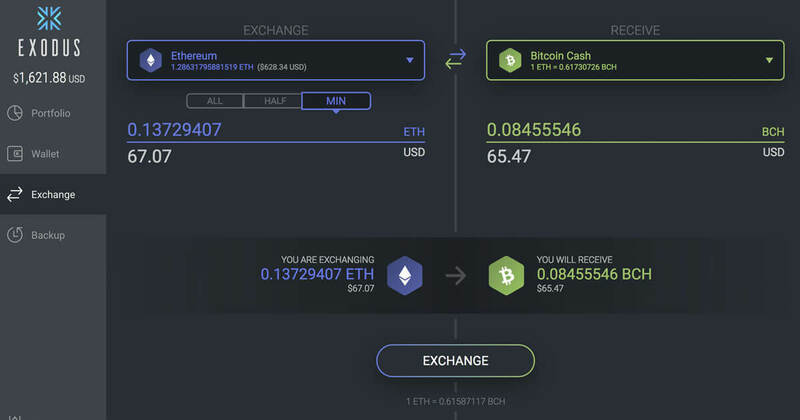 Exchange: A seamless, one-click, exchange experience. 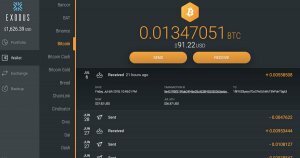 Wallet: Bitcoin, Ethereum, Litecoin, Bitcoin Cash, Dash and over 85 more. 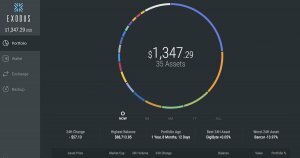 Beautiful Live Charts: Track the value of your blockchain asset portfolio, in real time, as market conditions change. Personalized: Like darker themes? How about a subtle space background? Exodus gives you a personal look with everything from traditional gray to patterns or customized themes. Control Your Keys: Exodus encrypts private keys and transaction data locally for your eyes only. Your data remains private – no account setup required.